We are proud to have two choirs here at Mingus Union High School. Everyone is welcome to be a part of the concert choir here on campus. 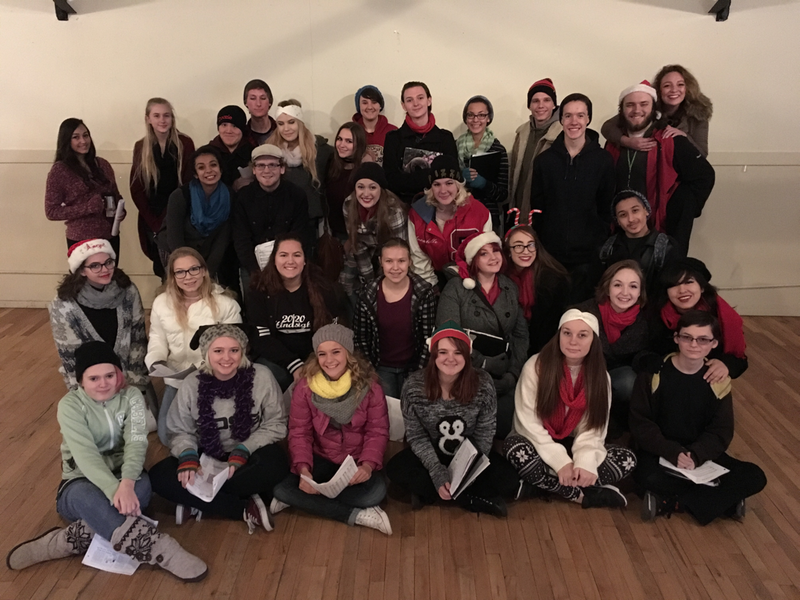 After a year in concert choir, we offer and auditioned Honor's Choir that competes in competitions and has more performance opportunities throughout the year. Want to hear what our end goal is? Use your password and unlock all the songs that our choirs are currently working on. Need help practicing? Here you'll find quick theory tips, a metronome, a tuner, and soon - much more! Freshman, Sophomores, Juniors, and Seniors are all welcome! ​Singing is fun and helps you relax in the middle of a stressful day of school. "I Can't Sing" - Which is why you take choir - to learn how to! Follow the link to download the folder with all of the music from the concert. Enjoy! Does your community event need a choir to help spice it up? We love to perform and would be honored to do so! Contact JAMES BALL for any community events or concerts. Interested in auditioning for the all-state choir? 1. Deadline is Wednesday, November 14th! 2. Fee is $20, but we have scholarships available. Come see me! 4. Must sing one of the songs on the list. Visit the link below to see the music, and download the accompaniment track. Set up a time to see me to get help with the songs! ​5. There is a sight-reading component. Visit the link to practice lots! 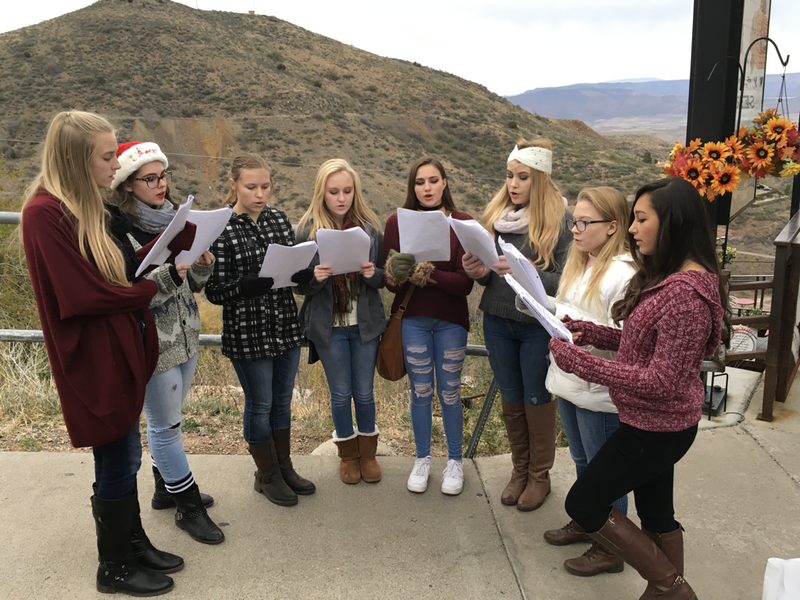 The choirs split into small groups and carol all around the town of Jerome for their Tree Lighting Ceremony.